The International Court of Justice (ICJ), on Tuesday, elected Mr. Abdulqawi Ahmed Yusuf as its new President and Ms. Xue Hanqin as its Vice-President. Both of them will serve a term of three years. 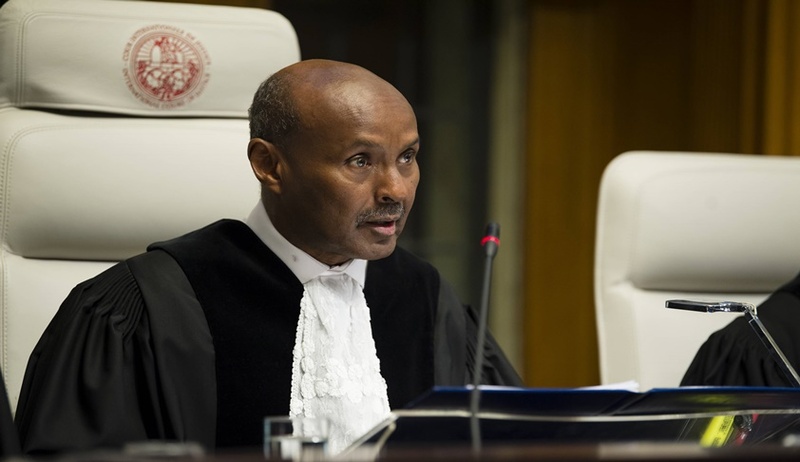 Mr. Yusuf will take over from French Judge Ronny Abraham to become the 25th President of ICJ as well as the 3rd one from Africa. He has been a Judge at ICJ since 2009 and was elected as its Vice President in February, 2015. He was born in Eyl, an ancient port town in the northeastern Nugal province of Somalia's northeastern semi-autonomous region of Puntland on 12 September, 1948. He received his Ph.D. in International Law from a University from the Graduate Institute of International Studies of General, Switzerland. After finishing his studies, he worked as a Legal Advisor for International organizations, including UNESCO between 2001-2009, and the United National Industrial Development Organization (UNIDO) based in Vienna between 1998-2001. Ms. Hanqin was born in Shanghai on 15 September, 1955. She has been serving on the Court since 29 June, 2010. Immediately prior to that, she was an Ambassador to the Association of Southeast Asian Nations (ASEAN), Legal Counsel of the Ministry of Foreign Affairs of China and a member of the International Law Commission (re-elected in 2006 by the General Assembly for the term 2007-2011), having previously served in academic and diplomatic posts, including at the United Nations.